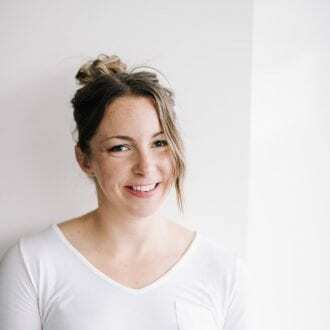 I thought I’d round up some of my favourite health and wellness products this year in a healthy gift guide. Use this list of healthy holiday gifts to give something useful and thoughtful to the health and wellness lovers in your life. Or for yourself, that works too. While I’m not big on extravagant gifts or spending a lot of money at Christmas, I do enjoy giving small gifts to friends and family. If you’re looking for a healthy gift that both useful and thoughtful for those healthy living lovers in your life, any of the choices on this list would be very much appreciated I’m sure! I love that a lot of these gifts are smaller items so you could combine a few to make fun wellness gift packs. How about some tea and a beautiful planner, or some nut butters, coconut butter and a glass water bottle? And if you’ve got a CrossFit-lover in your family, check out my guide guide for CrossFit and Fitness Lovers for lots of fun ideas. Aside from this list, you can’t beat homemade gifts such as baking and crafts. That’s what I’ll be doing this year but that doesn’t mean I don’t have all of these items on my wish list! My everyday go-to coffee aka complete obsession. I love them, I love the coffee and anyone interested in the health and wellness world probably has Four Sigmatic on their wish list. You can purchase ground coffee or their instant coffee in Cordyceps and Chaga or Lion’s Mane and Cordycepts. I like to alternate between the two varieties and I love the Hot Cacao Mix too for evenings or days went i want to go caffeine-free. Use code: runningonrealfood for 10% off at check-out. 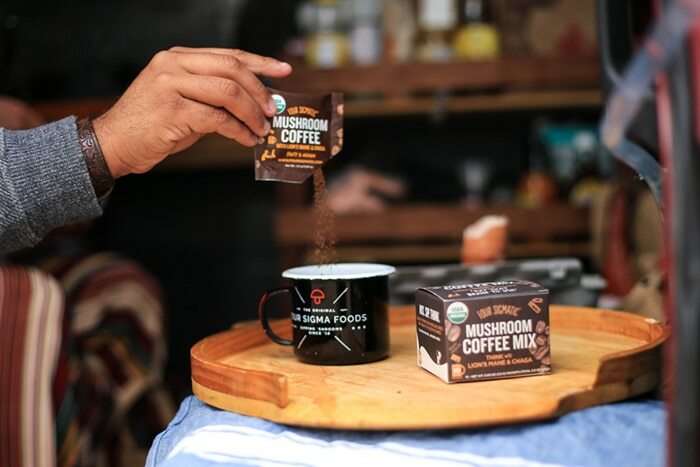 Click here to purchase from Four Sigmatic. Get ready for a zen-ed out Christmas morning with a gift pack of sage smudges, a pink Himalayan sea salt lamp, palo santo sticks, selection of crystals and a beautiful tray to display it all on. This chakra kit with white sage, palo santo wood, raw crystals and chakra stones is also really cool and I love this Good Day Start Here Guide and Journal. Thrive Market offers organic, non-GMO groceries and products at up to 50% off retail, plus free shipping, plus delivered directly to you all from the comfort of your couch. Any health and wellness lover will love to find this under their tree! Plant-based protein powders aren’t cheap but you know how much the fitness lovers in your life love their superfood protein shakes! I would be stoked to find a couple tubs of vegan protein powder wrapped up for me. So, basically I’m just shopping for myself and sharing the list with you. Superfoods can really add up and it’s always nice to be gifted the things you might not alway by for yourself. How awesome would a little package of spirulina, chlorella, cacao nibs, chia seeds, hemp seeds, moringa and maca be? Ahem…if anyone wants to send me something. This is the comforter I have and I love it. It’s unbelievably soft and fluffy but doesn’t get too hot and it’s completely cruelty-free! It’s also made with natural eucalyptus fibers that make it silk-soft but also hypoallergenic and resistant to mites or bacteria. Get $25 off with the runningonrealfood at check-out. This is big-time on my wish list. I’ve got my eyes on the organic luxury cotton sheet sets, duvet covers and pillows from Nest Bedding, which are all made from certified organic and certified fair trade cotton. Use NEST5 for 5% off. I love Pukka teas and whether you pick up one box as a stocking stuffer or the amazing variety pack as a gift, any tea lover will love it. Some of my favourites are After Dinner, Womankind, Turmeric Gold and Peppermint Liquorice. Combine it with this beautiful tea set for two and get cozy. I love the range of spices from Simply Organic and I’m slowly adding their line to my collection. I would love getting a package of my favourites such as turmeric, curry powder, cinnamon, ginger, nutmeg, thyme and cumin. They actually have a starter kit that I’ve definitely got my eyes on! A must-have. I’m obsessed with my essential oil diffuser. I have this one, which is very affordable and works great! Even if someone already has one of these, a second one is just a bonus so you can diffuse in a second room. A basic essential oil kit is a great way to get started using essential oils. You can use these in your diffuser in a number of different ways to promote sleep, relaxation, energy or focus. I usually use oil blends and for those I’d recommend shopping at Sage Wellness but the basic kits are a great way to get started and alway make a great gift. Staying hydrated is important and I know you all have that friend that constantly carries around a water bottle. Haha, that’s me actually. I’m in need of a new one and I’ve got my eyes on one of these beauties! If someone on your list is getting a Vitamix they must be really special to you. This is going to be my gift to myself this year because my Ninja blender broke and it’s just time! I can’t wait! Nut butters, soups, hummus, smoothies and so much more. A Vitamix makes an amazing gift your whole family will love and enjoy together. If you’re not ready to go with a Vitamix, the Ninja Mega Kitchen system is a fantastic option at a much cheaper price point. I’ve been using my Ninja Mega Kitchen System for years and it’s still going strong (I broke the blender container otherwise the motor is still rockin’) . 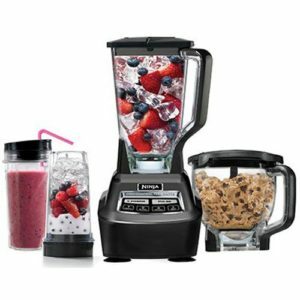 I love that it comes with a food processor and two single-server blender cups that are perfect for smoothies, sauces and other small batch needs. If I found a container of coconut butter, a jar of coconut oil and packages of shredded and flaked coconut under my tree, I would be pumped! I don’t buy usually buy coconut butter because it has quite the price tag and it’s so easy to make at home but I would never turn down a jar of store-bought butter if someone was to gift one to me! Coconut oil is always good to have for cooking and personal care and you can’t go wrong with a couple packages of organic shredded coconut and coconut flakes. I don’t think I could be any happier than waking up to this 8 lbs tub of coconut butter on Christmas morning! Organic walnut butter, organic cashew butter, raw pecan butter, a Wild Friends variety pack...create a little package of all the best nut butters and give it to your favourite healthy foodie. To create a little matcha kit for your health and wellness lovers, pick up some matcha and a matcha whisk to create a little match kits for one of your favourite people. If you’re lucky maybe they’ll make you homemade matcha lattes on Christmas morning. A beautiful tea mug would also made a great addition to this! Health and wellness lover love keeping track of their to-do lists, plans, appointments and goals. A beautiful place to schedule their healthy lifestyle and goals for the upcoming year would make a great gift. Stuff a couple organic chocolate bars in my stocking and call it a day. One of my favourites things to give and receive is a beautiful notebook. Journalling can be very therapeutic and chances are you favourite wellness lover has some kind of writing and self-exploration practice. Give them a beautiful place to explore their thoughts and dreams. I’ve got my eyes on that F*cking Brilliant Journal! A Bullet journals kit would make an awesome gift too. Grab a bullet journal, a pack of colored pens and a stencil set to make your own bullet journal gift pack. The 5 Minute Journal is a simple way to practice daily gratitude and self-development. 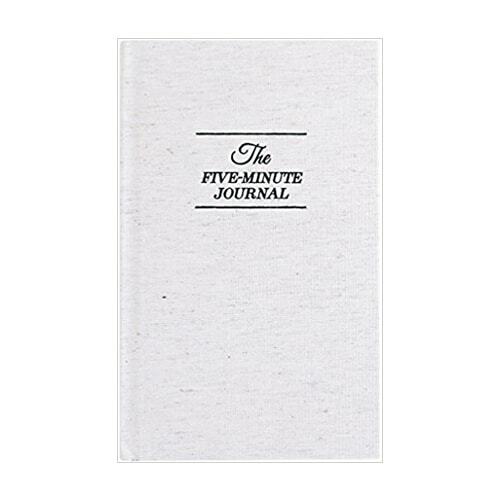 Anyone into wellness, healthy living and self-development would love to receive the The 5 Minutes Journal as a gift. This has been on my wish list for a while. 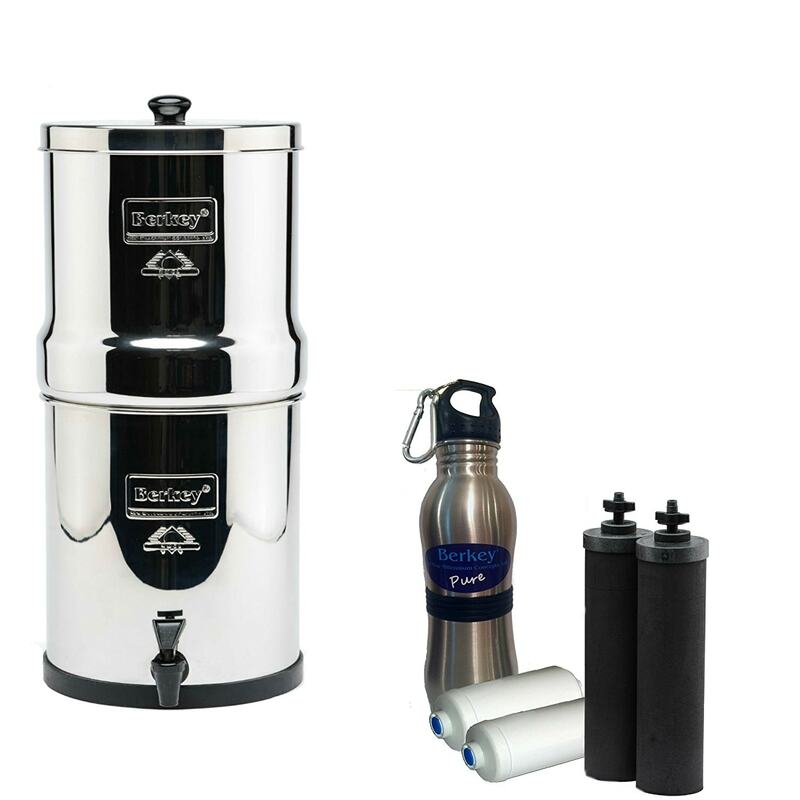 The berkey is ideal ideal for environmentally conscious families who demand the very best healthy water for their loved ones. Click here to see this on Amazon. To make a healthy baking gift pack, think ingredients like coconut sugar, gluten-free flour, almond flour, coconut flour, spelt flour, oats, chia seeds, chickpea flour, cacao butter, cacao powder, dairy-free chocolate chips and pure maple syrup. How cute would that be wrapped up in a mixing bowl? I’m also obsessed with these silicone baking mats. The best thing about giving a healthy baking gift pack? Chances are some yummy, healthy, baked goods are coming right back at ya! For more ideas, check out my list of the best self-development books. I also have a list of suggested plant-based diet and nutrition books here. I already bought that planner for myself for next year since I started making appointments for next year and like paper planners to lay out goals for specific months. All of these are great gift ideas. So much awesomeness! I love it all. I just bought that mushroom coffee about a month ago and I’m obsessed! Great ideas! I love Four Sigmatic, Vega, and a couple others. Added the chocolate and tea to my list to check out! Hope I get a few in my stocking. I hope I get a few in my stocking too! Also can’t even believe we’re already talking about stockings. Deryn, this list is amazing. I suddenly went from not needing anything to a little bit of everything!! hahaha, story of my life putting this post together!! I love my Ninja! What a great gift list. These are such great gift guides! Will definitely be purchasing some of these items for my friends and family.